With Google constantly changing their algorithm, the strict rules for Facebook Advertising and all the other reason why network marketers have had to change their marketing strategies in the past, you need to have a presence on the web that you have complete control over. That is why you need to start a network marketing blog. Before you even think about starting a Network Marketing blog the first thing you should do is determine who your target market is, and how you are going to serve that target market. You should also know that blogging is a long term commitment for your business and not something that is going to bring you continued success if you blog for 30 days and them stop. The top reason why you need to start a Network Marketing blog is to provide value to your target market. The main focus of you network marketing blog should be to increase the number of readers that are reading your blog posts, recommending your blog posts, sharing your blog posts, and talking about your blog post in a positive way. You do this by providing value with posts that train and educate your target market. If your target market is other network marketers that are struggling to build their business, you want to write blog posts that speak to the topics that they are struggling with. If they are struggling with generating leads, you want to provide them with information that is going to help them generate leads. Post that educate and train your target market can also be used to train and educate new members that join your team. You can send new teams members to your blog to train them on topics that are important to building their business and then follow up with them to answer their questions. 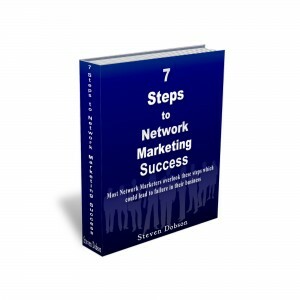 If you are in the Network Marketing industry you should start a network marketing blog to help grow your business. That doesn’t mean you should create the majority of your post to get your readers to sign up in your primary company. It means you should use your blog to generate leads that may be good business prospects for your primary company, but remember you main focus should be to service and provide value to your target market. It is through providing value and servicing the needs of your target market that your readers get to know and trust you. In all things dealing with sales, people buy from people and businesses that they know and trust. When your readers know and trust you they will value your opinions and some will buy the products and services that you recommend that will help them grow their business. Not every product or service is worthy of your recommendation. If you are the type of entrepreneur that is promoting every new product launch in the industry, your readers are going to unsubscribe or stop visiting your blog because of the constant sales pitches. If the product or service is not congruent with helping, teaching or training your target market, you may not want to create content about it and place it on your Network Marketing blog. The above quote was made by Zi Ziglar in 1984. If you remember that Network Marketing is a people business and by helping others you are helping yourself, you will have a successful Network Marketing blog. By focusing on your target market and helping other struggling network marketers solve their problems and answering their questions, you can get what you want. If understand why you should start a network marketing blog and you would like additional training on how blogging can help you generate 20-100 leads a day, then check out this training course on blogging. Did this blog post help you? If it did, I would greatly appreciate if you commented below, and share this with others! If Your Company or Up-line Does Not Have A Step-by-Step Blueprint For Success, Check This Out (Unless You Already Have Too Many Leads) Click Here For INSTANT ACCESS! Peety Passion » Archiwum Bloga » Investigating Practical Solutions Of Multi Level Marketing!